You probably wouldn’t think that lipstick, polar bears and trees in Kenya have anything in common. But actually, they do. They are all related to a new project from Chantecaille, a skincare and cosmetics brand devoted to protecting and preserving nature. But this campaign isn’t a new endeavor for the company. Each season, Chantecaille joins with different organizations to make a positive impact on the environment. In the past, the brand has partnered with Space for Giants and the Lion Guardians to help save the elephants and big cats. And Chantecaille doesn’t need a specific campaign or partnership to ensure the welfare of the planet; all of the company’s skincare products are free of GMOs and palm oil and have been since Chantecaille was started. A pioneer in ethical business practices, Chantecaille was created with the intent to become a platform with enough power to raise awareness for sustainability issues and to fund projects to prevent those issues. Sylvie Chantecaille, the company’s founder, has travelled to Borneo to see the negative effects of using palm oil. She has always been opposed to the substance and said that the hardest part for the company is finding ingredients that do not include palm oil. In a company that does so much to save the planet, it’s no wonder that Sylvie’s family members, who are leaders of many of the company’s departments, are committed to being good caretakers of the environment. For example, Olivier Chantecaille–Sylvie’s husband and the chief financial officer–combines his business skills with his passion for nature to enable to company to continue its environment-friendly practices. 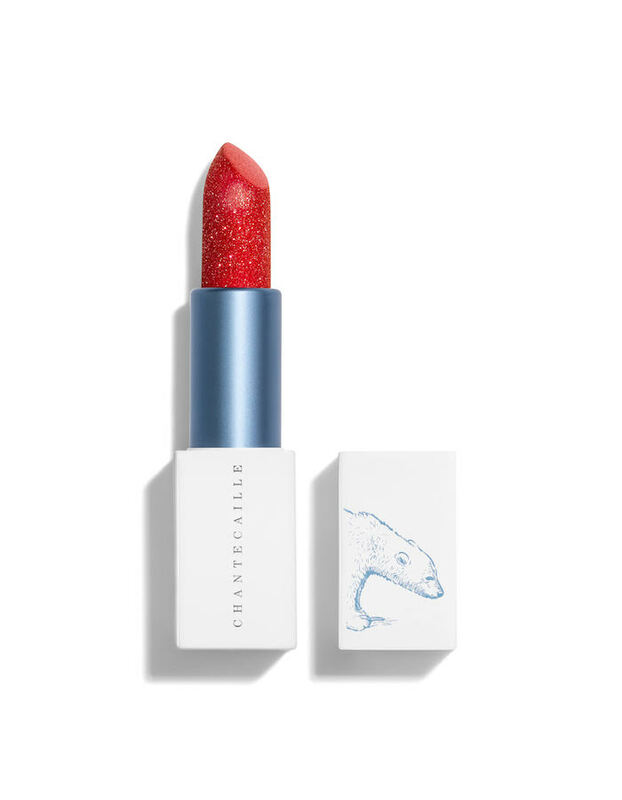 This spring, Chantecaille is collaborating with the Attenborough Foundation to combat climate change, particularly the melting of the polar ice caps. The campaign started after Alex and Philippe Chantecaille–children of Sylvie, the company’s founder–travelled to the North Pole last June and saw the effects of climate change on the ice caps and polar bears. When members of the Chantecaille family met David Attenborough in Sweden in 2018, they asked him about how to help the polar bears. He told them the best thing to do is to plant trees, and the plan to save the earth through gardening was born. With every Lip Cristal lipstick sold, Chantecaille has pledged to plant one tree in the Attenborough Canopy in Kenya. These trees remove carbon dioxide from the atmosphere, release oxygen, block soil erosion and filter water. The Lip Cristal lipstick is available in three shades–tourmaline, citrine and carnelian. 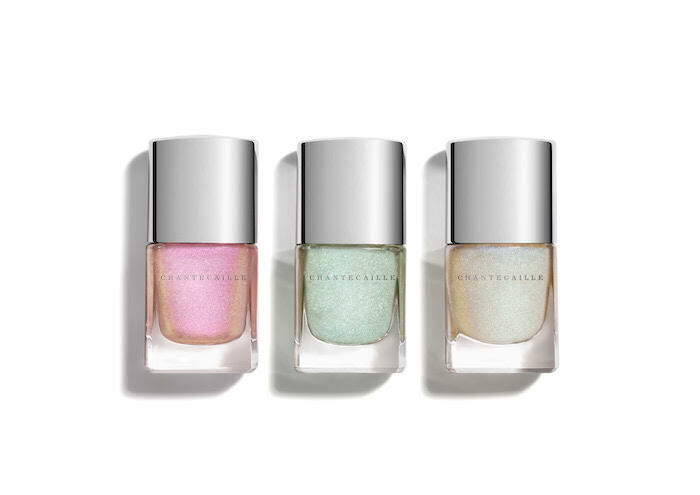 Chantecaille is also releasing its Polar Ice eye palette, which features nine colours that give sparkle, metallic and glowing effects, as well as its Celestial nail sheer, marking the company’s entrance into nail art. All of these products are limited-edition offerings. In addition, the company is relaunching its Darby Rose fragrance–a best-seller from the original Chantecaille collection–and making it a part of Chantecaille’s permanent parfum collection. If you’re wondering what Chantecaille is planning next, look no further than summer 2019. Proceeds from limited-edition lip veils will support Elephant Family, an NGO that works to protect Asian elephants. To read about how another skincare company is working to give back to the community, click here.